Want to watch live coverage of the Olympics? 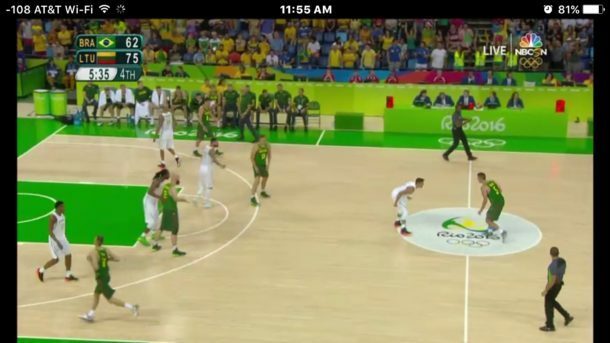 You can easily watch any of the 2016 Rio Olympic games and competitions live right from your iPhone, iPad, or iPod touch (or Android too, but we’re obviously focusing in iOS), meaning you can watch any game and any country and any sport you want, you don’t have to wait for the evening highlights. You don’t even need a cable TV package, any iOS device will do. 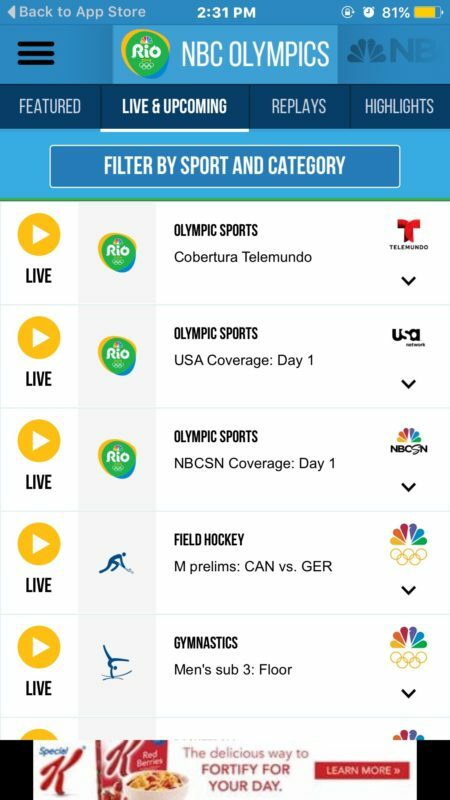 All you need to do to watch live footage of any current Rio Olympic games is to download the NBC Sports app. Anyone can then watch live footage of the 2016 Olympics from within the app, it’s that easy. Just launch the NBC Sports app, go to the “Live and Upcoming” tab, and browse through the currently active games. Tap on what you want to see live, and away it goes, the live stream of the event will start immediately. It’s that easy. For best viewability results you’ll want to unlock screen orientation in iOS and rotate the device sideways (or use Picture in Picture on iPad). You’ll also want to login to a local authorized TV or cable provider, which extends the length of time you can watch live coverage for beyond the 30 minutes. Just about every general TV provider in the USA is included, so whether you’re a member of a cable monopoly or a smaller provider it’s likely going to be in the provider list. If you’d rather watch the Rio Olympic games on a desktop or computer, you can watch them from the NBC Olympics live streaming website here, though you’ll need to have the Flash plugin to do so, perhaps making the live streaming on the web experience best enjoyed from Google Chrome where Flash is sandboxed. The NBC live stream may work from the USA or with a US cable login, but by using the free VPN in Opera and setting the VPN region to the United States allows users anywhere in the world to stream the Rio 2016 games from the site. Of course, most countries also have a TV network covering the Olympics as well, so you can always visit your local affiliate stations website and find live streams for Rio there too, or use the local affiliates app. For the UK, that would be BBC, and for Canada it would be CBC. Other countries vary, but again, by using a regional VPN you could watch any global stream that corresponds to the network location. 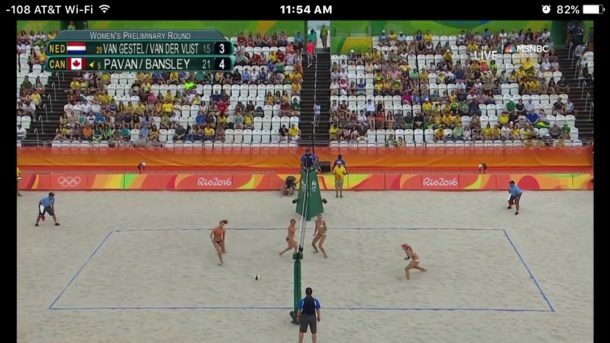 It’s nice, but why would I want to waste my time with the olympics? It’s not the same as it was 30/40/50 years ago. Nowadays it’s all about money and profiteering and sponsoring professional gear. Stupid and boring. I rather just read a good book instead. Or sleep. Watching the Olympics on NBC is about 70% watching advertisements with a few highlight clips thrown in. The US networks are really low quality. I have a better experiencing watching BBC from UK. So why did you even read the article…? Go back to your book and leave us Olympic watchers alone. Yeah! I agree with you, They don’t like to watch Olympics but they are wasting their time by Olympics articles. Nonsense. Um, wrong. You CANNOT watch without a cable package that includes NBC Sports. I just tried. Yeah Right! You need NBC subscription to stream online. Once again Canada is left out. Download the CBC Olympics app. Canada is in the Olympics this year, I watched a Canadian swim earlier today! Maybe it’s your neighbor? Do you guys all know each other up there in arctic land? Canada is great, very nice people, nice country but a little cold, it is not left out of the Olympics at all! You can also watch it online on your computer–but wait, you can’t! I tried to watch the opening ceremony. YES, as said above, you need to be able to log on to a commercial TV provider. I watch TV over free broadcast transmission, and will continue to. NBC is among the free stations I can watch, so why can’t I watch NBC online? Is this free or does it use up data and at what rate? Data use and cost depends on your cellular telephone plan or your internet plan. 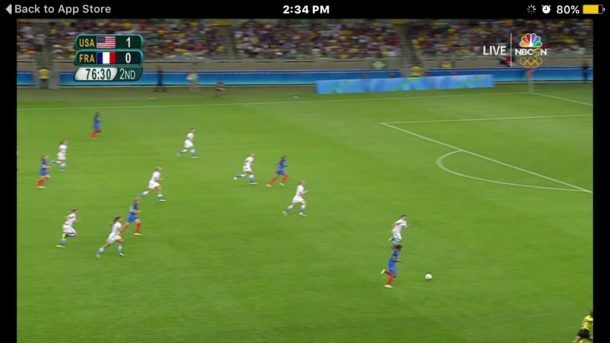 The BBC website is great for olympic coverage. Just watched the HBO special on the IOC and the effect on towns/countries. WOW! Hard to even consider watching the Olympics after that. BTW, the Olympic torch run started in 1936, it was the Nazi’s idea to run the torch town to town. Another US centric post. How about you get out of your little bubble and see what the rest of the world is doing. Now I know why I visit this site less and less. Parochial hicks. Thanks Kevin, what a charming and helpful comment. If you want to volunteer to research and write how to stream the Olympics from iOS or the web in each of the 196 countries in the world, do send it along and I’ll add it to this article. Maybe we are luckily in the UK after all with 8 dedicated free to air Olympic channels put several hours of highlight each day on other channels. Plus the free BBC online catchup service as posted by Keiren. I don’t have traditional cable, but have been curious about the Olympics. This will work, thanks for the tip! You’re welcome, I don’t have cable either and found that streaming works great for the live events I want to see. I don’t have cable TV and I can watch it for 30 minutes at a time. NBC is not a cable TV network, it is regular TV you can get NBC with bunny ears.